Political seismology is an inexact science. Underneath the social sea, tectonic shifts happen as silently and stealthily as you can get. Any effort to predict it often brings grief to Mr Know-All of politics. The scenario unfolding in Uttar Pradesh conforms to this thesis. 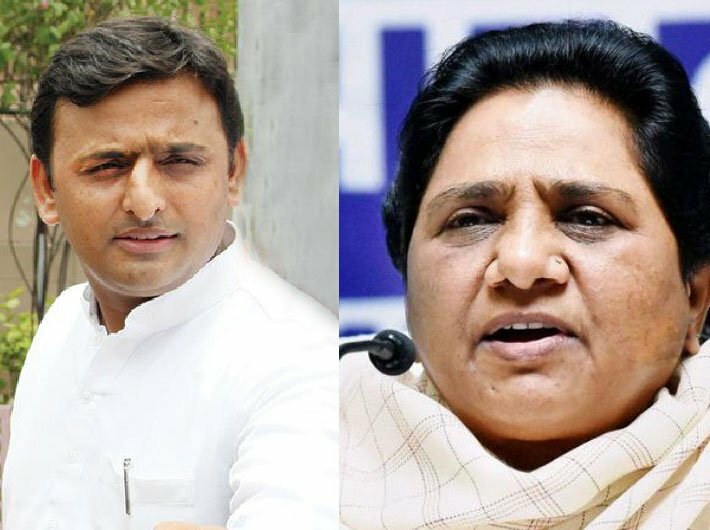 The coming together of the SP-BSP in the by-elections for two Lok Sabha seats, Phulpur and Gorakhpur, is not an ordinary event that can be brushed aside. Given the social combinations the two parties represent, it is expected to trigger cataclysmic effects in state politics. Now the question is: Would it or won’t it? There is no doubt that Samajwadi Party’s Akhilesh Yadav and Mayawati’s Bahujan Samaj Party (BSP) are fighting with their back to the wall. They realised it rather late in the day that if they stand divided, they would be facing a virtual extinction if not political obliteration altogether. But it would be wrong to assume that their coming together would consolidate the social bases they represent. Historically, the SP symbolised the state’s OBC politics in the context of the Mandal commission report in the nineties. Mulayam Singh Yadav was then the tallest state leader of the OBCs whose personal charm was enough to seduce non-Yadav OBCs to the SP’s fold. An astute Mulayam was gifted with enough political cunning to realise that he would be decimated after the December 6, 1992 demolition of the Babri mosque. He forged an alliance with BSP, then led by Kanshi Ram, which captured the imagination of Dalits who constitute around 22 percent of the state’s electorate. Even then the SP-BSP alliance was seen by a large section of media with a certain amount of cynicism. In the 1993 assembly elections, this alliance was pitted not only against the BJP but also against the Janata Dal of VP Singh and the Congress. 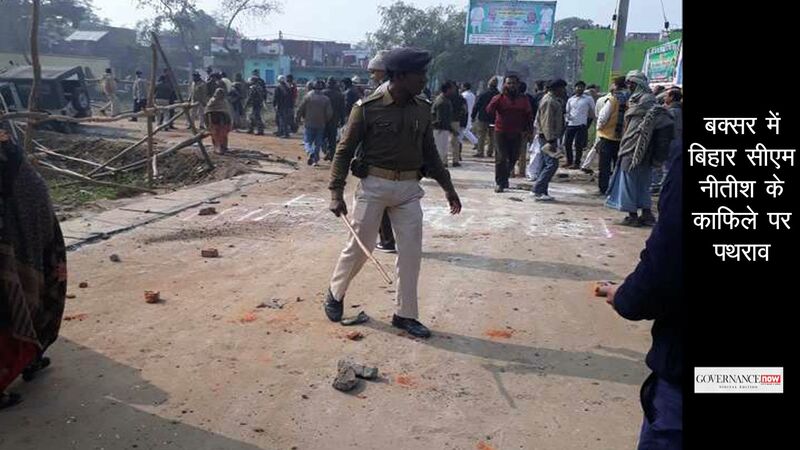 On the other hand, the BJP displayed so much irrational exuberance after the demolition of the mosque that its chief ministerial candidate, Kalyan Singh, declared in one of the press conferences that he would relinquish politics if the BJP could not register convincing majority. When the results came, Kalyan Singh proved to be miserably wrong as the SP-BSP emerged as the single largest group which claimed its right to form the government. There is no doubt that the Mulayam-Kanshi Ram combination was quite formidable. Mulayam, then, had an image of having a reservoir of stamina and enough sagacity to adapt to the changing scenario. On the other hand, Kanshi Ram was a highly efficient organiser who held together his party’s social base despite many electoral setbacks in the past. His frontal organisations like BAMCEF and DS4 acted as a bulwark against any possible erosion in the Dalit vote share. Despite the BJP’s aggressive Hindutva campaign after demolition of the Babri mosque, the SP-BSP retained their support bases. But contrast this scenario with today’s politics and you would know the difference. Unlike his father, Akhilesh is yet to emerge as a leader worth reckoning. He essentially depends on the political framework built by Mulayam. While Mulayam was perceived to be a leader having appeal all across the state from Ghaziabad (in western UP) to Ghazipur (in eastern UP), Akhilesh substantially lacks that stature despite his five-year stint as chief minister. The running family feud within the Yadav clan has substantially squandered the SP’s political capital. Similarly, Mayawati’s stints as chief minister and scandals surrounding her have alienated a large section of Dalit support base which was assiduously cultivated by Kanshi Ram. As of now, the arch-rivals have apparently joined hands, but this pact is limited to only the two by-elections. Mayawati has indeed clarified that she wants her party supporters to vote for “whoever is in best position to defeat BJP” and there is no further alliance. On the face of it, the possibility of an Akhilesh-Mayawati combination seems quite distant to take on a resurgent BJP which has expanded its base among non-Yadav OBCs and non-Jatav Dalits. As compared the SP and the BSP, the BJP’s efforts at social engineering backed by a robust organisational structure is guided more by pragmatism than irrational exuberance of the Kalyan Singh era. As it appears today, much will depend on the outcome of the two by-elections. If the social bases of the SP-BSP indicate a sign of seamless merger against the Hindutva forces, it may encourage Akhilesh and Mayawati to undertake a new political experiment the way Nitish Kumar and Lalu Prasad Yadav did in Bihar. Significantly, the alliance in Bihar between the JD (U) and the RJD happened only after the combination defeated the BJP in a series of by-elections before 2015. Hence the UP by-elections could be a precursor to a new political experiment in the offing. 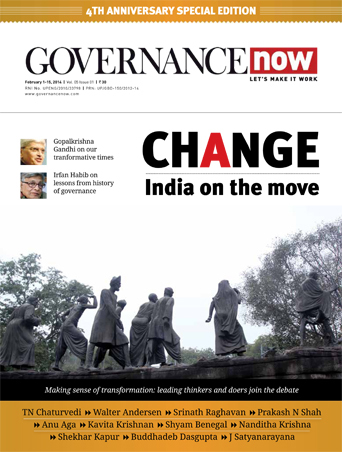 Given the temperamental nature of Mayawati and cavalier political conduct of Akhilesh, it appears next to impossible that the social coalition will take off the ground. Will Mayawati be content to play a second fiddle to Akhilesh? It is highly unlikely that the BSP chief would let Akhilesh take primacy in the state’s politics. Of course, given the history of hostility between the two camps, it appears quite difficult to forge a coalition of mutually acrimonious social groups and channelise them into an anti-BJP political platform. But politics often defies the predictable course. And there is little doubt if the by-elections results pave the way for a coalition, it will indeed pose a formidable challenge to the rise of the BJP in Uttar Pradesh.